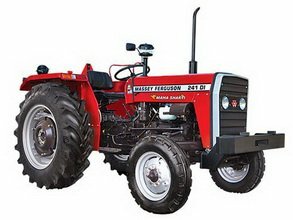 4600100 Dear Visitor, if you don't find manual or (and) parts catalog for your MASSEY FERGUSSON AGRICULTURED MACHINERY write to brovertek@gmail.com. Please specify the model. We'll check our possibilities and inform you in any case. 4600101 MF 20 MASSEY FERGUSON MF 20 wheel tractor. Spare Parts Catalog. 4600102 MF 20C MASSEY FERGUSON MF 20C wheel tractor. Spare Parts Catalog. 4600103 MF 20D MASSEY FERGUSON MF 20D wheel tractor. Spare Parts Catalog. 4600104 MF 20E MASSEY FERGUSON MF 20E wheel tractor. Spare Parts Catalog. 4600105 MF 20F MASSEY FERGUSON MF 20F wheel tractor. Spare Parts Catalog. 4600106 MF 20-25 MASSEY FERGUSON MF 20-25 wheel tractor. Spare Parts Catalog. 4600107 MF 22 MASSEY FERGUSON MF 22 wheel tractor. Spare Parts Catalog. 4600108 MF 25/825 S MASSEY FERGUSON MF 25/825 S wheel tractor. Spare Parts Catalog. 4600109 MF 30 MASSEY FERGUSON MF 30 wheel tractor. Spare Parts Catalog. 4600110 MF 30B MASSEY FERGUSON MF 30B wheel tractor. Spare Parts Catalog. 4600111 MF 30D MASSEY FERGUSON MF 30D wheel tractor. Spare Parts Catalog. 4600112 MF 30E MASSEY FERGUSON MF 30E wheel tractor. Spare Parts Catalog. 4600113 MF 30E PowerShutle MASSEY FERGUSON MF 30E PowerShutle wheel tractor. Spare Parts Catalog. 4600114 MF 30H MASSEY FERGUSON MF 30H wheel tractor. Spare Parts Catalog. 4600115 MF 31 MASSEY FERGUSON MF 31 wheel tractor. Spare Parts Catalog. 4600116 MF 33 MASSEY FERGUSON MF 33 wheel tractor. Spare Parts Catalog. 4600117 MF 33K MASSEY FERGUSON MF 33K wheel tractor. Spare Parts Catalog. 4600118 MF 35 MASSEY FERGUSON MF 35 wheel tractor. Spare Parts Catalog. 4600119 MF 35/35 X MASSEY FERGUSON MF 35/35 X wheel tractor. Spare Parts Catalog. 4600120 MF 35/835 S MASSEY FERGUSON MF 35/835 S wheel tractor. Spare Parts Catalog. 4600121 MF 40 MASSEY FERGUSON MF 40 wheel tractor. Spare Parts Catalog. 4600122 MF 40B MASSEY FERGUSON MF 40B wheel tractor. Spare Parts Catalog. 4600123 MF 40E MASSEY FERGUSON MF 40E wheel tractor. Spare Parts Catalog. 4600124 MF 44K MASSEY FERGUSON MF 44K wheel tractor. Spare Parts Catalog. 4600125 MF 44 MASSEY FERGUSON MF 44 wheel tractor. Spare Parts Catalog. 4600126 MF 44-6 MASSEY FERGUSON MF 44-6 wheel tractor. Spare Parts Catalog. 4600127 MF 50 MASSEY FERGUSON MF 50 wheel tractor. Spare Parts Catalog. 4600128 MF 50A MASSEY FERGUSON MF 50A wheel tractor. Spare Parts Catalog. 4600129 MF 50C MASSEY FERGUSON MF 50C wheel tractor. Spare Parts Catalog. 4600130 MF 50D MASSEY FERGUSON MF 50D wheel tractor. Spare Parts Catalog. 4600131 MF 50E MASSEY FERGUSON MF 50E wheel tractor. Spare Parts Catalog. 4600132 MF 55 MASSEY FERGUSON MF 55 wheel tractor. Spare Parts Catalog. 4600133 MF 55K, MASSEY FERGUSON MF 55K, wheel tractor. Spare Parts Catalog. 4600134 MF 65 MASSEY FERGUSON MF 65 wheel tractor. Spare Parts Catalog. 4600135 MF 65/765 MASSEY FERGUSON MF 65/765 wheel tractor. Spare Parts Catalog. 4600136 MF 65/865 S MASSEY FERGUSON MF 65/865 S wheel tractor. Spare Parts Catalog. 4600137 MF 85 MASSEY FERGUSON MF 85 wheel tractor. Spare Parts Catalog. 4600138 MF 88 MASSEY FERGUSON MF 88 wheel tractor. Spare Parts Catalog. 4600139 MF 95 MASSEY FERGUSON MF 95 wheel tractor. Spare Parts Catalog. 4600140 MF 97 MASSEY FERGUSON MF 97 wheel tractor. Spare Parts Catalog. 4600141 MF 98 MASSEY FERGUSON MF 98 wheel tractor. Spare Parts Catalog. 4600142 MF 122 MASSEY FERGUSON MF 122 wheel tractor. Spare Parts Catalog. 4600143 MF 130 MASSEY FERGUSON MF 130 wheel tractor. Spare Parts Catalog. 4600144 MF 133 MASSEY FERGUSON MF 133 wheel tractor. Spare Parts Catalog. 4600145 MF 134 V MASSEY FERGUSON MF 134 V wheel tractor. Spare Parts Catalog. 4600146 MF 135 MASSEY FERGUSON MF 135 wheel tractor. Spare Parts Catalog. 4600147 MF 135 MKIII MASSEY FERGUSON MF 135 MKIII wheel tractor. Spare Parts Catalog. 4600148 MF 135 NARROW MASSEY FERGUSON MF 135 NARROW wheel tractor. Spare Parts Catalog. 4600149 MF 135 V MASSEY FERGUSON MF 135 V wheel tractor. Spare Parts Catalog. 4600150 MF 135 V/S MASSEY FERGUSON MF 135 V/S wheel tractor. Spare Parts Catalog. 4600151 MF 140 MASSEY FERGUSON MF 140 wheel tractor. Spare Parts Catalog. 4600152 MF 140 NARROW MASSEY FERGUSON MF 140 NARROW wheel tractor. Spare Parts Catalog. 4600153 MF 145 MASSEY FERGUSON MF 145 wheel tractor. Spare Parts Catalog. 4600154 MF 145 MKIII MASSEY FERGUSON MF 145 MKIII wheel tractor. Spare Parts Catalog. 4600155 MF 145 V MASSEY FERGUSON MF 145 V wheel tractor. Spare Parts Catalog. 4600156 MF 145 V/S MASSEY FERGUSON MF 145 V/S wheel tractor. Spare Parts Catalog. 4600157 MF 148 MKIII MASSEY FERGUSON MF 148 MKIII wheel tractor. Spare Parts Catalog. 4600158 MF 148 MASSEY FERGUSON MF 148 wheel tractor. Spare Parts Catalog. 4600159 MF 150 MASSEY FERGUSON MF 150 wheel tractor. Spare Parts Catalog. 4600160 MF 152 F MASSEY FERGUSON MF 152 F wheel tractor. Spare Parts Catalog. 4600161 MF 152 MKIII MASSEY FERGUSON MF 152 MKIII wheel tractor. Spare Parts Catalog. 4600162 MF 152 MKIIII MASSEY FERGUSON MF 152 MKIIII wheel tractor. Spare Parts Catalog. 4600163 MF 152 MASSEY FERGUSON MF 152 wheel tractor. Spare Parts Catalog. 4600164 MF 152 V/S MASSEY FERGUSON MF 152 V/S wheel tractor. Spare Parts Catalog. 4600165 MF 154 F MASSEY FERGUSON MF 154 F wheel tractor. Spare Parts Catalog. 4600166 MF 154 S MASSEY FERGUSON MF 154 S wheel tractor. Spare Parts Catalog. 4600167 MF 154 MASSEY FERGUSON MF 154 wheel tractor. Spare Parts Catalog. 4600168 MF 154 V MASSEY FERGUSON MF 154 V wheel tractor. Spare Parts Catalog. 4600169 MF 154-4S MASSEY FERGUSON MF 154-4S wheel tractor. Spare Parts Catalog. 4600170 MF 155 MASSEY FERGUSON MF 155 wheel tractor. Spare Parts Catalog. 4600171 MF 158 MASSEY FERGUSON MF 158 wheel tractor. Spare Parts Catalog. 4600172 MF 158 F MASSEY FERGUSON MF 158 F wheel tractor. Spare Parts Catalog. 4600173 MF 158 MKIII MASSEY FERGUSON MF 158 MKIII wheel tractor. Spare Parts Catalog. 4600174 MF 158 S MASSEY FERGUSON MF 158 S wheel tractor. Spare Parts Catalog. 4600175 MF 158 V MASSEY FERGUSON MF 158 V wheel tractor. Spare Parts Catalog. 4600176 MF 164 TF MASSEY FERGUSON MF 164 TF wheel tractor. Spare Parts Catalog. 4600177 MF 164 TS MASSEY FERGUSON MF 164 TS wheel tractor. Spare Parts Catalog. 4600178 MF 164 TV MASSEY FERGUSON MF 164 TV wheel tractor. Spare Parts Catalog. 4600179 MF 165 MKIII MASSEY FERGUSON MF 165 MKIII wheel tractor. Spare Parts Catalog. 4600180 MF 165 MASSEY FERGUSON MF 165 wheel tractor. Spare Parts Catalog. 4600181 MF 168 F MASSEY FERGUSON MF 168 F wheel tractor. Spare Parts Catalog. 4600182 MF 168 MKIII MASSEY FERGUSON MF 168 MKIII wheel tractor. Spare Parts Catalog. 4600183 MF 168 S MASSEY FERGUSON MF 168 S wheel tractor. Spare Parts Catalog. 4600184 MF 168 MASSEY FERGUSON MF 168 wheel tractor. Spare Parts Catalog. 4600185 MF 174 F MASSEY FERGUSON MF 174 F wheel tractor. Spare Parts Catalog. 4600186 MF 174 S MASSEY FERGUSON MF 174 S wheel tractor. Spare Parts Catalog. 4600187 MF 174 MASSEY FERGUSON MF 174 wheel tractor. Spare Parts Catalog. 4600188 MF 174 V MASSEY FERGUSON MF 174 V wheel tractor. Spare Parts Catalog. 4600189 MF 174-4S MASSEY FERGUSON MF 174-4S wheel tractor. Spare Parts Catalog. 4600190 MF 175 MASSEY FERGUSON MF 175 wheel tractor. Spare Parts Catalog. 4600191 MF 175 S MASSEY FERGUSON MF 175 S wheel tractor. Spare Parts Catalog. 4600192 MF 178 MASSEY FERGUSON MF 178 wheel tractor. Spare Parts Catalog. 4600193 MF 178 S MASSEY FERGUSON MF 178 S wheel tractor. Spare Parts Catalog. 4600194 MF 180 MASSEY FERGUSON MF 180 wheel tractor. Spare Parts Catalog. 4600195 MF 184 F MASSEY FERGUSON MF 184 F wheel tractor. Spare Parts Catalog. 4600196 MF 184 S MASSEY FERGUSON MF 184 S wheel tractor. Spare Parts Catalog. 4600197 MF 184 MASSEY FERGUSON MF 184 wheel tractor. Spare Parts Catalog. 4600198 MF 185 MASSEY FERGUSON MF 185 wheel tractor. Spare Parts Catalog. 4600199 MF 185 S MASSEY FERGUSON MF 185 S wheel tractor. Spare Parts Catalog. 4600200 MF 188 MASSEY FERGUSON MF 188 wheel tractor. Spare Parts Catalog. 4600201 MF 188 S MASSEY FERGUSON MF 188 S wheel tractor. Spare Parts Catalog. 4600202 MF 194 F MASSEY FERGUSON MF 194 F wheel tractor. Spare Parts Catalog. 4600203 MF 194 S MASSEY FERGUSON MF 194 S wheel tractor. Spare Parts Catalog. 4600204 MF 194 MASSEY FERGUSON MF 194 wheel tractor. Spare Parts Catalog. 4600205 MF 194-4F MASSEY FERGUSON MF 194-4F wheel tractor. Spare Parts Catalog. 4600206 MF 202 MASSEY FERGUSON MF 202 wheel tractor. Spare Parts Catalog. 4600207 MF 203 MASSEY FERGUSON MF 203 wheel tractor. Spare Parts Catalog. 4600208 MF 204 MASSEY FERGUSON MF 204 wheel tractor. Spare Parts Catalog. 4600209 MF 205 MASSEY FERGUSON MF 205 wheel tractor. Spare Parts Catalog. 4600210 MF 205-4 MASSEY FERGUSON MF 205-4 wheel tractor. Spare Parts Catalog. 4600211 MF 210 MASSEY FERGUSON MF 210 wheel tractor. Spare Parts Catalog. 4600212 MF 210-4 MASSEY FERGUSON MF 210-4 wheel tractor. Spare Parts Catalog. 4600213 MF 220 MASSEY FERGUSON MF 220 wheel tractor. Spare Parts Catalog. 4600214 MF 220-4 MASSEY FERGUSON MF 220-4 wheel tractor. Spare Parts Catalog. 4600215 MF 230 MASSEY FERGUSON MF 230 wheel tractor. Spare Parts Catalog. 4600216 MF 231 MASSEY FERGUSON MF 231 wheel tractor. Spare Parts Catalog. 4600217 MF 231 S MASSEY FERGUSON MF 231 S wheel tractor. Spare Parts Catalog. 4600218 MF 233 MASSEY FERGUSON MF 233 wheel tractor. Spare Parts Catalog. 4600219 MF 234 MASSEY FERGUSON MF 234 wheel tractor. Spare Parts Catalog. 4600220 MF 235 MASSEY FERGUSON MF 235 wheel tractor. Spare Parts Catalog. 4600221 MF 240 MASSEY FERGUSON MF 240 wheel tractor. Spare Parts Catalog. 4600222 MF 240 S MASSEY FERGUSON MF 240 S wheel tractor. Spare Parts Catalog. 4600223 MF 240 P MASSEY FERGUSON MF 240 P wheel tractor. Spare Parts Catalog. 4600224 MF 240 Xtra MASSEY FERGUSON MF 240 Xtra wheel tractor. Spare Parts Catalog. 4600225 MF 241 MASSEY FERGUSON MF 241 wheel tractor. Spare Parts Catalog. 4600226 MF 243 MASSEY FERGUSON MF 243 wheel tractor. Spare Parts Catalog. 4600227 MF 245 MASSEY FERGUSON MF 245 wheel tractor. Spare Parts Catalog. 4600228 MF 250 MASSEY FERGUSON MF 250 wheel tractor. Spare Parts Catalog. 4600229 MF 250X MASSEY FERGUSON MF 250X wheel tractor. Spare Parts Catalog. 4600230 MF 250XE MASSEY FERGUSON MF 250XE wheel tractor. Spare Parts Catalog. 4600231 MF 251 MASSEY FERGUSON MF 251 wheel tractor. Spare Parts Catalog. 4600232 MF 251XE MASSEY FERGUSON MF 251XE wheel tractor. Spare Parts Catalog. 4600233 MF 253 MASSEY FERGUSON MF 253 wheel tractor. Spare Parts Catalog. 4600234 MF 254 S MASSEY FERGUSON MF 254 S wheel tractor. Spare Parts Catalog. 4600235 MF 254 MASSEY FERGUSON MF 254 wheel tractor. Spare Parts Catalog. 4600236 MF 254-4 MASSEY FERGUSON MF 254-4 wheel tractor. Spare Parts Catalog. 4600237 MF 255 MASSEY FERGUSON MF 255 wheel tractor. Spare Parts Catalog. 4600238 MF 260 MASSEY FERGUSON MF 260 wheel tractor. Spare Parts Catalog. 4600239 MF 260 Xtra MASSEY FERGUSON MF 260 Xtra wheel tractor. Spare Parts Catalog. 4600240 MF 261 MASSEY FERGUSON MF 261 wheel tractor. Spare Parts Catalog. 4600241 MF 263 MASSEY FERGUSON MF 263 wheel tractor. Spare Parts Catalog. 4600242 MF 263T MASSEY FERGUSON MF 263T wheel tractor. Spare Parts Catalog. 4600243 MF 264 TS MASSEY FERGUSON MF 264 TS wheel tractor. Spare Parts Catalog. 4600244 MF 264 T MASSEY FERGUSON MF 264 T wheel tractor. Spare Parts Catalog. 4600245 MF 265 MASSEY FERGUSON MF 265 wheel tractor. Spare Parts Catalog. 4600246 MF 265 S MASSEY FERGUSON MF 265 S wheel tractor. Spare Parts Catalog. 4600247 MF 268 MASSEY FERGUSON MF 268 wheel tractor. Spare Parts Catalog. 4600248 MF 268 Xtra MASSEY FERGUSON MF 268 Xtra wheel tractor. Spare Parts Catalog. 4600249 MF 270 MASSEY FERGUSON MF 270 wheel tractor. Spare Parts Catalog. 4600250 MF 270 S MASSEY FERGUSON MF 270 S wheel tractor. Spare Parts Catalog. 4600251 MF 271 S MASSEY FERGUSON MF 271 S wheel tractor. Spare Parts Catalog. 4600252 MF 271 X MASSEY FERGUSON MF 271 X wheel tractor. Spare Parts Catalog. 4600253 MF 271 XE MASSEY FERGUSON MF 271 XE wheel tractor. Spare Parts Catalog. 4600254 MF 271XE MASSEY FERGUSON MF 271XE wheel tractor. Spare Parts Catalog. 4600255 MF 273 MASSEY FERGUSON MF 273 wheel tractor. Spare Parts Catalog. 4600256 MF 274 S MASSEY FERGUSON MF 274 S wheel tractor. Spare Parts Catalog. 4600257 MF 274 SK MASSEY FERGUSON MF 274 SK wheel tractor. Spare Parts Catalog. 4600258 MF 274 MASSEY FERGUSON MF 274 wheel tractor. Spare Parts Catalog. 4600259 MF 274-4 MASSEY FERGUSON MF 274-4 wheel tractor. Spare Parts Catalog. 4600260 MF 275 MASSEY FERGUSON MF 275 wheel tractor. Spare Parts Catalog. 4600261 MF 275 Xtra MASSEY FERGUSON MF 275 Xtra wheel tractor. Spare Parts Catalog. 4600262 MF 280 S MASSEY FERGUSON MF 280 S wheel tractor. Spare Parts Catalog. 4600263 MF 281 MASSEY FERGUSON MF 281 wheel tractor. Spare Parts Catalog. 4600264 MF 281 S MASSEY FERGUSON MF 281 S wheel tractor. Spare Parts Catalog. 4600265 MF 281 X MASSEY FERGUSON MF 281 X wheel tractor. Spare Parts Catalog. 4600266 MF 281XE MASSEY FERGUSON MF 281XE wheel tractor. Spare Parts Catalog. 4600267 MF 282 MASSEY FERGUSON MF 282 wheel tractor. Spare Parts Catalog. 4600268 MF 283 MASSEY FERGUSON MF 283 wheel tractor. Spare Parts Catalog. 4600269 MF 284 S MASSEY FERGUSON MF 284 S wheel tractor. Spare Parts Catalog. 4600270 MF 284 MASSEY FERGUSON MF 284 wheel tractor. Spare Parts Catalog. 4600271 MF 285 MASSEY FERGUSON MF 285 wheel tractor. Spare Parts Catalog. 4600272 MF 285 S MASSEY FERGUSON MF 285 S wheel tractor. Spare Parts Catalog. 4600273 MF 290 MASSEY FERGUSON MF 290 wheel tractor. Spare Parts Catalog. 4600274 MF 290 Xtra MASSEY FERGUSON MF 290 Xtra wheel tractor. Spare Parts Catalog. 4600275 MF 291 MASSEY FERGUSON MF 291 wheel tractor. Spare Parts Catalog. 4600276 MF 292 MASSEY FERGUSON MF 292 wheel tractor. Spare Parts Catalog. 4600277 MF 293 MASSEY FERGUSON MF 293 wheel tractor. Spare Parts Catalog. 4600278 MF 294 S MASSEY FERGUSON MF 294 S wheel tractor. Spare Parts Catalog. 4600279 MF 294 MASSEY FERGUSON MF 294 wheel tractor. Spare Parts Catalog. 4600280 MF 294-4 MASSEY FERGUSON MF 294-4 wheel tractor. Spare Parts Catalog. 4600281 MF 297 MASSEY FERGUSON MF 297 wheel tractor. Spare Parts Catalog. 4600282 MF 298 MASSEY FERGUSON MF 298 wheel tractor. Spare Parts Catalog. 4600283 MF 299 MASSEY FERGUSON MF 299 wheel tractor. Spare Parts Catalog.